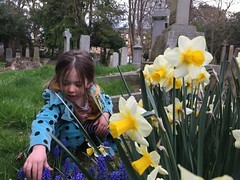 Come and join us for two free community events to create a nature trail around the cemetery on Sunday 30 April and Saturday 10 June, 2 - 3.30pm. Free fun activities for kids and families. Help build bird boxes and design a bijoux bug hotel or make a fruity bird feeder and join in the amazing wildflower waggle to encourage bees and butterflies. 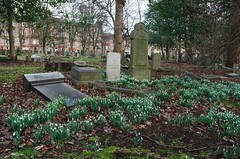 Early Spring is a great time to explore the many snowdrops in the 14 acre Newington Cemetery, and also discover the other spring flowers that flourish here. We invite all those who live nearby to come and see for themselves. Volunteers will be at the gates of the cemetery on 26 February between 1.00 pm and 3.30 pm to help you find the best places and enjoy the peace and beauty of this "garden cemetery". 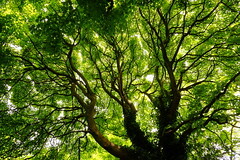 Grange Prestonfield Community Council has submitted a grant application to fund 3 workshops for children and their parents and/or grandparents to build nesting boxes and bug hotels, design signs and install a nature trail at Newington Cemetery. This will be voted on through a participatory budgeting system scheme organised by South Central Neighbourhood Partnership, next Saturday, February 4, at the Southside Community Centre (117 Nicolson Street, Edinburgh, EH8 9ER) ﻿between 11:00 and 15:00. We would be grateful if you could all come and vote for the project!! Newington Cemetery was opened in 1846, and covers 14 acres. 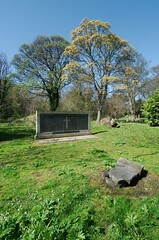 It is not only the final resting place of many local families, it provides a refuge for wildlife and a peaceful haven. Volunteers will be available to point out some of the many interesting graves, architectural features, and beautiful trees, or you can wander around alone and discover its hidden treasures. 2016-02-27/28 - Snowdrop Walks 27th and 28th February 2016. 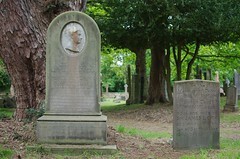 Early Spring is a good time to explore the beauty and peacefulness of Newington Cemetery. Volunteers from the Friends of Newington Cemetery will be at the gates of the cemetery on 27th February between 10.00 am and 12 noon, and on 28th February between 2.00 pm and 4.00 pm. 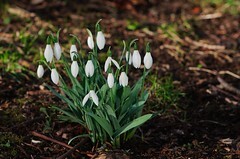 They will direct visitors to the best spots to see the snowdrops and other spring flowers.